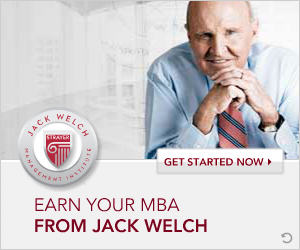 You’re considering a Jack Welch MBA. Now what? First, congratulations! You’ve taken the exciting step to pursue an MBA. It’s life-changing. Then, as Jack likes to say “Get Ready for a Ride.” An MBA is both fun and challenging and so to help prepare you for the MBA journey you are about to embark upon, we asked Mario Barrett, Assistant Dean of New Student Experience at JWMI, to share his top three tips for new students considering the Jack Welch MBA program. 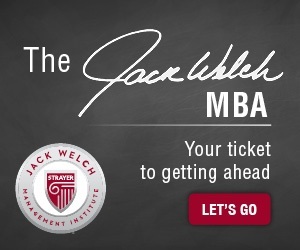 When you come into the Jack Welch MBA program, wherever you are in life, you are in the right place. 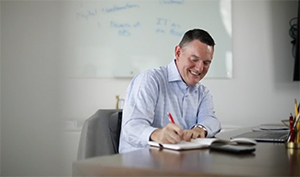 If you are an individual contributor without a “big” title… you are in the right place. If you are someone with a “big” title… you are in the right place. Why? Leadership is a never-ending pursuit, no matter where you are in your career. The most successful students at JWMI take advantage of the unique opportunity to learn from their classmates. But it’s perfectly reasonable to have doubts. I may hear an incoming student say: “Oh my goodness, I haven’t held a leadership role yet, and I have an Army General or a CEO in my classroom. Do I belong here?” And my response is always the same. Yes. Don’t be overwhelmed if you are in class with more experienced professionals. You can learn a tremendous amount from their leadership experience. And, if you have an enormous amount of leadership experience, guess what? It may have been some time since you’ve had a meaningful conversation with an individual contributor, and there is much to learn from their perspective. Often there is a gap in our vision and experiences, and at JWMI we pride ourselves on building bridges so that you can learn from others; after all, continuous learning is an essential element in leadership. So, don’t let yourself or your confidence be over-shadowed by who’s in class. Students will be amazed at how quickly their world expands once they start our program. They realize that an essential leadership quality is intellectual curiosity, something students observe during quarterly webinars with Jack Welch. He is so sharp, so on point, and so in the know about what’s going on in the business world today. 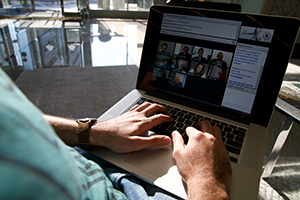 Students see that Jack is continually evolving his knowledge base, and realize they need to do the same. You can’t rest on what was going on five or ten years ago. Learning is continuous. Be curious. Read the Wall Street Journal. Watch CNBC. Have great conversations about what’s going on in today’s business world. No great leader ever stops growing. You wouldn’t commit to an MBA if you weren’t interested in improving yourself. And part of that process means being receptive to feedback. Most of our students are experienced and successful professionals who are returning to class after many years. They haven’t been assessed in an academic setting for some time and aren’t used to being graded every week. Nor are they used to working with a professor to achieve their goals. At JWMI, we focus on our customers, who are our students. It’s the foundation of a charter of values and behaviors that we, as faculty, live and breathe. You won’t hear, “I’m the faculty member on high, and you are the student on low.” No, we’re partners along this journey. Our faculty members understand that we are aren’t just teachers, we are mentors; we are coaches. Sometimes we are fans and even cheerleaders. When a faculty member invests the time to understand where a student is coming from and what challenges he/she is facing, the outcome for that students improves dramatically. 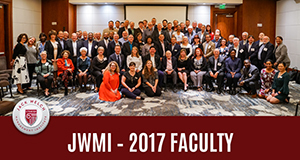 The student/faculty relationship is unique at JWMI, and it can take students by surprise. But ultimately, students realize that their professors have their best interest at heart and want them to succeed. For example, if your professional writing can be improved or you need more support in Finance, take the feedback that you get from your faculty members. Utilize our communications coaches and tutors. Our best students are often the ones who seek out academic support services and are open to becoming better writers and more comfortable with numbers. If your professors are telling you that they see something you can improve upon, work on it. The improvements will carry over from the classroom to your workplace, and people will notice. No matter how successful you become, you can’t add hours to your day. That is why the most successful leaders manage their calendars with precision. And if you’re adding an MBA program to your already busy schedule, time management is a skill you will need to master quickly. Creating schedules, making sacrifices and developing the discipline to stick to your plan are necessities. However, when you embark on this journey, you’re not going on it alone. Your family is going with you. Your boss and co-workers are going with you. So are your friends. You may need to have conversations with these individuals to let them know, “I may not be able to go bowling every Wednesday night, I need to work on an MBA assignment instead.” “I may not be able to do a movie every Saturday night, but we’ll resume once I graduate with my MBA.” Let your family members know that, “I may be a bit busier than usual, and I may not be able to commit to the same level of activities each week. But guess what? The more I learn, the more I’m able to apply in my career, and our lives will improve. I will become a better leader, and my opportunities will increase. That is the payoff.” So, have candid conversations with the people in your life. Let them know how important the pursuit of your degree is and solicit their support for the journey. The other day, I spoke with a Jack Welch MBA student who is facing challenges in life and didn’t know if he could continue with class. I frequently remind students—you are going to have to struggle if you want to earn anything worth having. And you’ll never truly excel at leadership if you can’t make those tough choices. So set a goal and passionately chase it. Let your support system know your goals. Engage people in your journey at the beginning. With the right plan and people on your team, you will set yourself up to overcome those pesky challenges. People will see your confidence grow. Your conversations will become richer. You will approach life with more energy and vigor. You will become the leader you desire. And people will want to be a part of that journey.